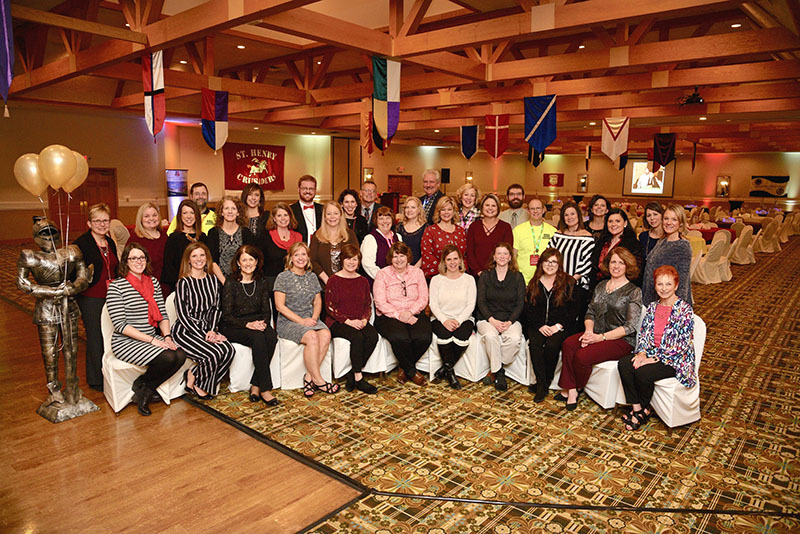 St. Henry District High School celebrated the 20th anniversary of its Renaissance Auction this year! The annual event is the largest fundraiser held by the school. This year, in addition to the fun, food, drinks, and silent and live auction bidding, guests had a chance to win one of 20 door prizes, valued at more than $1,000! Guests were also given a special gift as a thank you for supporting the Renaissance for the last 20 years. One of the highlights of the night is the drawing of the winner of the $10K Raffle and this year the lucky winner was Melissa Schlake! 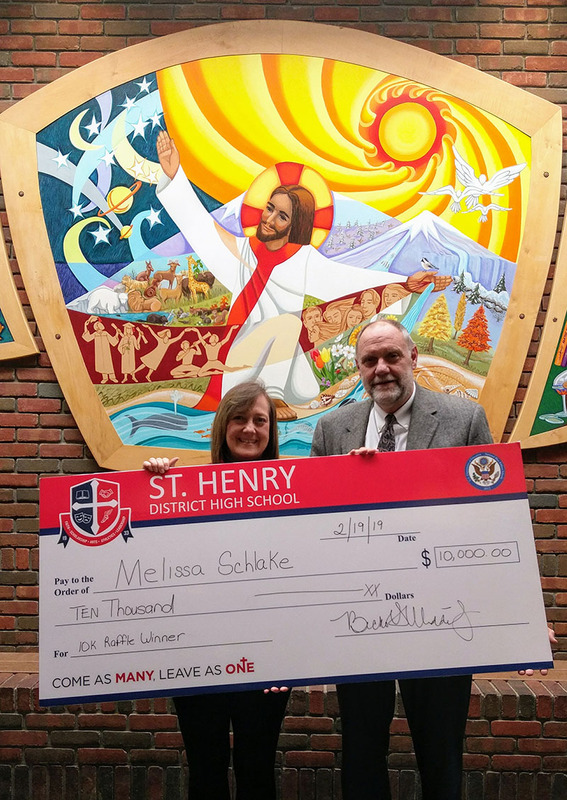 She happily accepted the check from SHDHS Principal, Dave Otte. Congratulations, Melissa! A special thank you to the entire Renaissance Committee without whom this event would not be possible. And save the date for next year’s event on Saturday, February 22.